The Bay Area Center for Waldorf Teacher Training faculty are Bay Area Waldorf School teachers and musicians, as well as artists and teachers from around the world who join the annual Summer Session. Carol Adee grew up in a musical and nature loving family in California and Oregon. She began teaching music and orchestra at Marin Waldorf School in 2004 and graduated from BACWTT in 2009. Her interest in Waldorf education started with her children’s enrollment at Marin Waldorf and was nurtured by many hours as a parent volunteer. At BACWTT, Carol teaches First Year Music and Recorder, introducing students to musicality through singing, dancing and an array of handmade instruments. She holds a M.M. from Yale School of Music and a B.M. 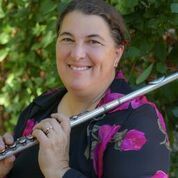 from Chapman University, and has performed and recorded with professional orchestras, chamber groups and as a flute soloist throughout the Bay Area. Growing up with a big extended family in New England, the basement was the classroom where Ramona Budrys honed her teaching skills as she “taught school” to her dozens of cousins! Her love of school and myriad interests in adulthood led her into studies of drama, literature and law. Since 2004, Ramona has been teaching at Waldorf Schools in Los Angeles, Pasadena, Chicago and Silicon Valley. Always learning new things, like delving into science most recently, Ramona hopes to bring to the classroom joy, enthusiasm and a love of learning that is infectious! Kristine Arrigona Deason grew up in France and Germany. She has an M.A. in French Studies from the University of Brussels, an M.A. in Literature from BYU, and a California High School Teaching Credential from Mills College. She taught at the university level, then worked for IBM for ten years as a technical writer and programmer before returning to teaching. She received her Waldorf teaching certificate from the Bay Area Center for Waldorf Teacher Training in 2004 and has been a class teacher at the Marin Waldorf School ever since. She taught a class from first through eighth grade, graduated them in 2012, and currently teaches Fifth Grade. In the teacher training, Kristine teaches The Kingdom of Childhood, The Child’s Journey through the Grades including Chalkboard Drawing, and Study of Man. She will also oversee the Second Year Practicum Preparation and directs the choir for the Bay Area Center for Teacher Training. Douglas Gerwin, Ph.D., has taught history, literature, German, music, and life science at college and Waldorf high school levels for over 35 years. As Director of the Center for Anthroposophy (CfA), he divides his time between adult education and teaching adolescents, as well as mentoring Waldorf schools across North America. Himself a Waldorf graduate, Douglas is the founder of CfA’s Waldorf High School Teacher Education Program, as well as the first Executive Director of the Research Institute for Waldorf Education. He is author and editor of nine books on Waldorf education, as well as numerous articles on education and anthroposophy. His most recent publication is a collection of articles entitled Trailing Clouds of Glory: Essays on Sexuality and the Education of Youth in Waldorf Schools (2014). At present, Douglas resides on the outskirts of Amherst, Massachusetts, with his wife Connie, a Waldorf high school teacher of mathematics. Maria Helland-Hansen, born in Norway, received her eurythmy diploma in Sweden in 1985 and has been active as a eurythmist since then. After completing her therapeutic eurythmy training in Dornach, Switzerland in 1993, she moved to San Francisco and became a therapeutic eurythmist and eurythmy teacher at the San Francisco Waldorf School. She also has a private practice and is a core faculty member of the Therapeutic Eurythmy training of North America (TETNA). At the Bay Area Center for Waldorf Teacher Training, she introduces therapeutic Eurythmy, constitutional polarities and ways of working with and understanding the child. Dr. Carmen Hering is an osteopathic and anthroposophic physician specializing in childhood development, and has been in private practice in Albany, CA since 2006. She completed her osteopathic medical training at Touro University, College of Osteopathic Medicine in 2003 and then went on to complete a 3-year residency program in New York City. Encouraged by a medical student while in residency to study anthroposophic medicine, Dr. Hering visited the Threefold Community in Spring Valley and attended a physician conference there. Once in private practice, she went on to complete a 5-year training program in anthroposophic medicine and became certified to practice AM in 2012. Dr. Hering has taught at New York College of Osteopathic Medicine and Touro University College of Osteopathic Medicine, where she continues to serve as adjunct faculty. She mentors pre-med students, trains medical students and residents in her office, serves on the board for certification in anthroposophic medicine (ACAM) and is faculty for the annual International Physician Medical Training (IPMT) program for anthroposophic medicine in the US. In April of 2006, Rev. Patrick Kennedy was consecrated into the priesthood in Chicago, Illinois. Prior to attending the seminary in Stuttgart, Germany, Patrick studied and worked in the field of Early Childhood Education and received his bachelor’s degree from the University of California, Santa Cruz in Cultural Anthropology. His first sending as a priest was to the congregation in Devon, Pennsylvania. From November 2007 to November 2015, he served as the resident priest in the Washington D.C. area congregation. He now lives in Chestnut Ridge, New York, with his wife and two daughters. Jeff Loubet graduated from Clark University with a B.A. in philosophy in 1975 and completed teacher training at Rudolf Steiner College in 1992. Jeff has been a class teacher at the East Bay Waldorf School for 24 years. He taught grades 1 – 8 twice and grades 1 – 6 before retiring in 2017. Jeff teaches Study of Man and Grades Practicum Preparation for BACWTT and Storytelling and the Imagination for Sound Circle. Patrick Marooney met Waldorf Education in 1974 through two Waldorf teachers who had a puppet theatre collapse on them mid-show. He trained full time for two years at Rudolf Steiner College, then took a class through the 8 grades at Eugene Waldorf School, 1984 – 1992. He was the woodworking teacher at EWS for 23 years and also taught core courses with Waldorf Teacher Education Eugene for 25 years. He has been with BACWTT since 1997 teaching sciences, form drawing, geometry. Donni O’Ryan has been a Waldorf teacher since 1994, after graduating from the RSC Extension Program, and has been teaching the Movement curriculum to children and adults both in the U.S. and abroad for 24 years. She has visited several schools to help them develop movement curriculums that integrated with their unique spaces. Donni graduated from the Spacial Dynamics Institute in 1999. She has hosted the Bay Area Pentathlon for 15 years and the new 6th grade Global Games for 5 years. In 2011, she developed (and continues to teach) a successful Environmental Education program for middle school students at Marin Waldorf School. Having recently discovered an interest in Outdoor Kindergarten teaching, she developed the Forest Children program in 2016 for older kindergarteners. Donni loves to garden, hike, and spend time with her husband, dogs, sons and grandson. She has taught games and movement at BACWTT since 2010. Lisa Sargent joined the grade school choir five minutes after she was caught accidentally singing the descant line in Sweet Betsy from Pike in 4th grade music class. She hasn’t stopped singing since. Lisa graduated from the University of Denver with a degree in voice. She has sung in opera and symphony choruses in Denver and joined as many Bay Area choirs as possible since moving to San Francisco in 1988. Lisa is an instructor in voice under Werbeck’s School of Uncovering the Voice and is thoroughly trained by Christiaan Boele. She teaches music at the San Francisco Waldorf School, where Sweet Betsy still visits the fourth grade. Jennifer Schmitt, ND, is a board-licensed Naturopathic Doctor. She has an integrative pediatric and family practice in the East Bay of Northern California. She studied pre-med at St. Edward’s University in Austin and received her Bachelor of Science degree in biology from Marymount Manhattan College in New York. Dr. Schmitt received her doctorate in naturopathic medicine from Bastyr University in Seattle. Her medical school specialty training included: family medicine, normal maternity, advanced pediatrics, diabetes, autoimmune & cardiovascular care. She also trained in and specializes in Naturopathic Oncology with Mistletoe Therapy. She has completed the five-year post-graduate training in Anthroposophic medicine and is certified as an Anthroposophic Naturopathic Doctor. She works in Waldorf schools with classroom observation, parent education, and with the school’s faculty. Dr. Schmitt lectures and teaches at Waldorf schools and Waldorf teacher trainings in the United States. 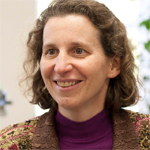 She is the current Vice-President on the board of the Society for Physicians of Anthroposophic Naturopathy (SPAN) and is on the faculty of the Bay Area Center for Waldorf Teacher Training and Sound Circle Center for Waldorf Teacher training in Seattle. Dr. Schmitt is also a member of the California Naturopathic Doctors Association, as well as a member of the American Association of Naturopathic Physicians, the Oncology Association of Naturopathic Physicians, and the Pediatric Association of Naturopathic Physicians. Judith Thomas was one of the founding parents of the East Bay Waldorf School and a member of the faculty as a class teacher (1985-1993) and handwork teacher (1994-2007) in both the lower school and in the high school. She has been a weaver and fiber artist for many years and currently teaches pine needle basketry classes and weaving workshops in the Bay Area. She teaches handwork at BACWTT. Gail Weger began her work in Waldorf education in 1994 through a home preschool she created out of a need in her children’s community. She went on to take her first class at the Live Oak Waldorf School from first through fifth grade, and her second class from first through graduation. She is currently teaching Seventh Grade at the Marin Waldorf School, where she has been for the last four years. Gail has been a mentor and teacher of teachers since 2001, in the Midwest, Bay Area, and through Rudolf Steiner College and BACWTT; and served as the Pedagogical Chair at the East Bay Waldorf School in 2013-14. Gail is a practicing artist and holds a BFA in Printmaking and Art History. She is, as well, an avid follower of biodynamic and permaculture practices, and explorer of the natural wonders of California. She has three grown Waldorf-educated daughters, a wonderful husband, Mathias, and has just begun a long career as a grandmother.